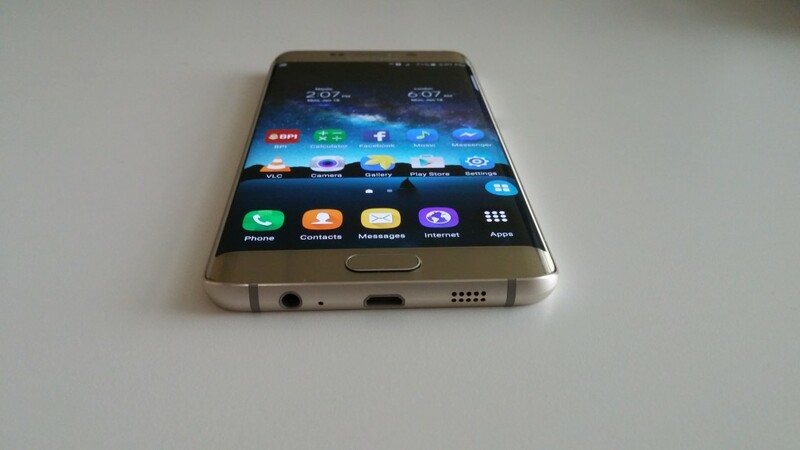 Now we are going to do a review of Samsung Galaxy S6 Edge Plus. 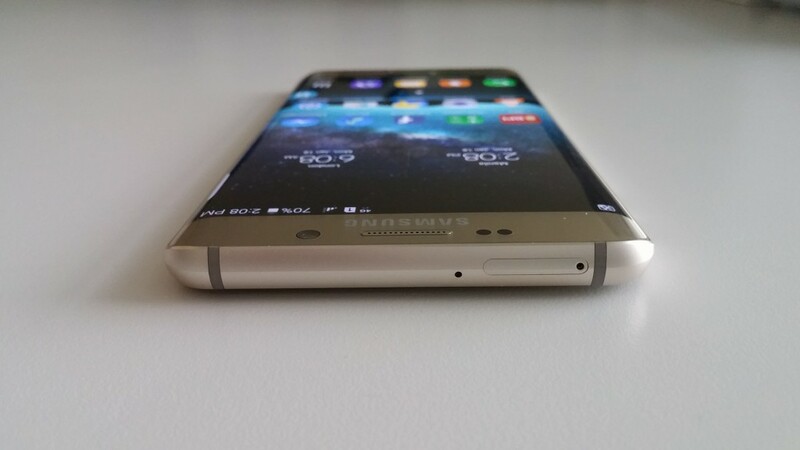 I promise you right now that this is the best of Samsung phones in 2015! It has been three weeks since I got this phone and I am very satisfied with its awesome features. 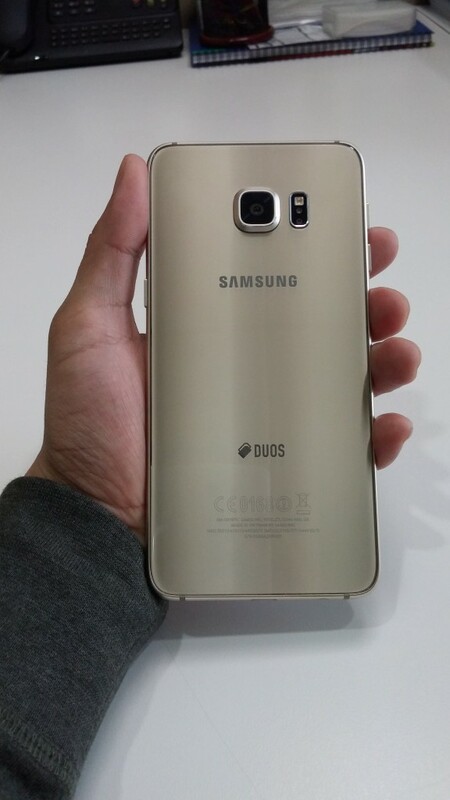 This smartphone was released by Samsung last August 2015. It has been ranked number 1, along with Samsung Galaxy S6 Edge, in most review websites as compared to the flagship phones of other popular brands. If you are currently researching about it and maybe planning on getting one, let me walk you through its features and my experience in using it for the past three weeks. 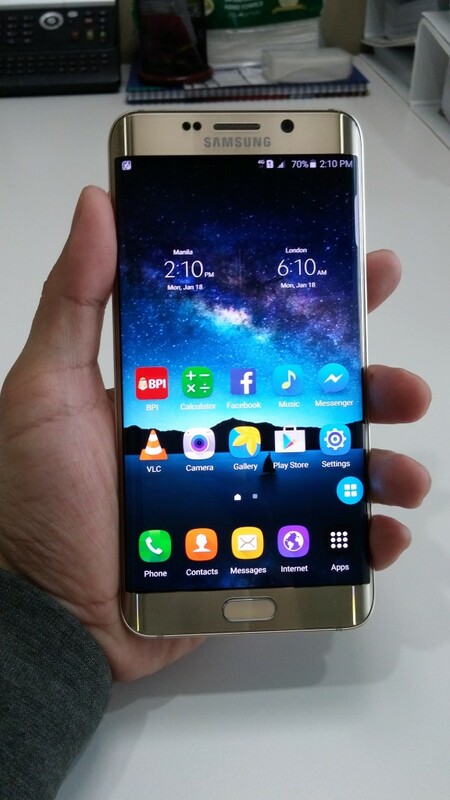 The S6 Edge+ design is very unique and beautiful. The front of the phone is made of glass and metal that is very shiny. This awesome look is an eye-catcher. Almost everyone that I know who saw me with this phone notices and praises its beautiful and amazing looks. The glass covering the front of the phone is made of Corning Gorilla Glass 4 which makes it scratch-resistant. According to the manufacturer of the glass, it is 2x better than competitive glass designs and their drop test is the toughest in the industry. It provides higher resistance to scratches and has improved drop performance. The coolest part of the design that captures everyone’s attention is the glass display that curves to the left and right edges of the phone. When the phone’s display lights up, you can really see a unique beauty in the curve of the phone’s edges. The unique edges also add awesome features. This will be discussed in detail in the Software section later. The glass display does not entirely occupy the left and right sides of the phone. Halfway down the side is the metal frame which is designed to protrude a little to prevent you from unnecessarily touching the screen at the edge while holding the phone. What I like about the metal frame is that it’s not too smooth and this will prevent you from accidentally dropping the phone while holding it. The back of the phone is made of hard metal that is super smooth. The smooth texture will make it more fun to hold your phone all the time. 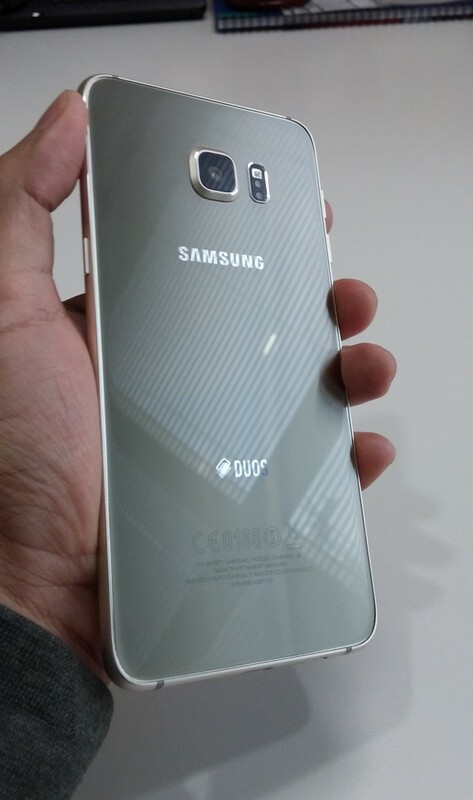 The smaller counterpart, Samsung Galaxy S6 Edge, is made of the same design. 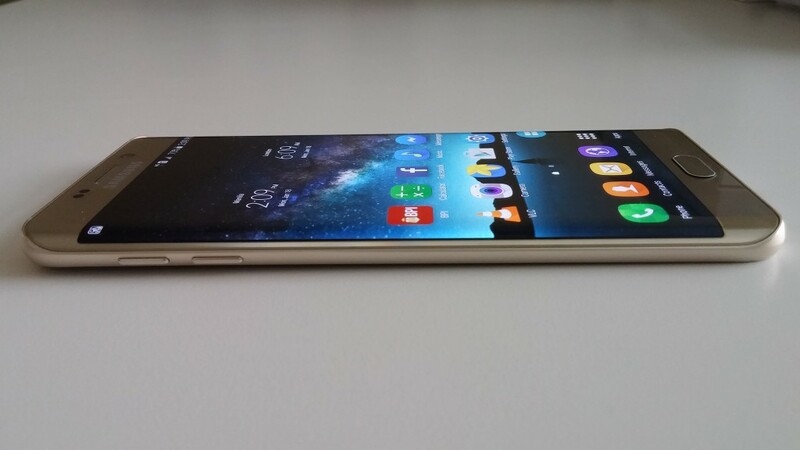 The dimensions of the Samsung Galaxy S6 Edge Plus is 154.4 x 75.8 x 6.9 mm. It weighs 153 grams. This means that this phone is 20% lighter and slightly thinner than its primary competitor, the iPhone 6s Plus. Like any other phablets today (e.g. iPhone 6s Plus, etc. ), it will not be easy to type and hold the phone with one hand. You have to hold it on one hand and type using the other hand to avoid accidentally dropping it. The good thing about this is that it discourages people to type text messages and chats while driving, thus, preventing accidents. Another cool thing about this phone is, like most of the high-end phones today, it has a fingerprint sensor in the home button. The home button is located below the display. You will also like the light signals at the top of the display which will blink if you have notifications such as new text messages or incoming FB messenger chats. 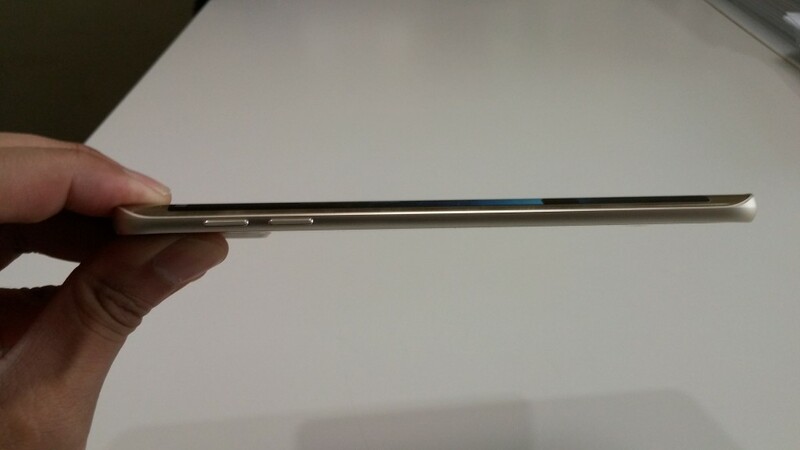 The nano-SIM card slot is located at the top. The power button is located on the right side. The volume controls are located on the left side of the phones. It does not have a button for silent mode unlike in iPhones. The loudspeaker, 3.5 mm audio jack, and microUSB port are located at the bottom. The 16MP camera can be found at the back and it is slightly protruding to protect the back when you put it on a flat surface. Near the camera are the LED flash and heart rate sensor. Aside from the phone, the package comes with a fast charger, microUSB cable, manuals, and the beautiful Samsung stereo earbuds. What I like so much about this phone is the size and the amazing quality of the display. The display size is at 5.7 inches, slightly bigger than the 5.5 inches display of the iPhone 6s Plus. It has an awesome high screen-to-body ratio of 76.64% which is almost 10% higher than the screen-to-body ratio of the iPhone 6s Plus. The display boasts a 1440 x 2560 pixels resolution. It has 518 pixels per inch which is very high. This means that the sharpness of the images and videos is a lot better than the iPhone. Aside from the resolution, I noticed that the images and videos are a lot more colorful. It makes the display of iPhone 6s Plus look pale. The color blue is a lot bluer, red is bloody red, and the color black is really black. Most of the time, I prefer to watch movies on this phone rather than in my LG TV because of the excellent color quality. It will make you feel like watching in a cinema when you turn down the lights. And the larger screen helps a lot to make you enjoy any movie or TV show that you want to watch. On top of this, the videos that you will be watching extends to the curved edge of the screen. It will amazingly give you a unique watching experience. What I also like about the display is that you can still clearly see what you are reading or watching even under direct sunlight. This is perfect if you frequently use your smartphone outdoors. You will also like the primary camera which has a 16-megapixel resolution that beats the 12-megapixel resolution of the iPhone 6s Plus. The LED light at the back helps get brighter pictures in a dark environment. If you want to turn on the camera fast, you can just double click the home button and you are ready to capture any one of a kind special moment. It is very fast and responsive. This is perfect if you always take pictures. It helps provide an excellent, balanced, and colorful pictures of your precious moments during celebrations, travel, or when you are spending time with your friends. The color adjustments are very advanced. You can also do burst mode and capture pictures in seconds, use High Dynamic Range mode (HDR) to lighten up dark places, capture panorama, and put awesome effects. Another amazing thing that surprised me a lot is the front camera. It is at 5-megapixel resolution like the latest iPhones but what is different is how it captures more beautiful pictures. I am an iPhone user for the past four years and the quality of the selfies in this Samsung phone is a lot better. You will really like the front camera when taking selfies or groupies because it improves your skin tones. If you have pimple marks, scars, wrinkles, eye bags, it will not appear in the image captured by the front camera. You will also notice that you will have whiter teeth and you will instantly look like a celebrity. The wide selfie mode allows you to capture groupies perfectly. Another cool thing about this phone is that it can capture 4K videos (3840×2160). That is super high-quality videos which you can play in the latest 4K televisions. You can also capture videos in lower resolutions if you want to save storage space. The phone comes with a very fast processor. It contains the Octa-core ARM Cortex-A57 at 2100 MHz (Quad-core) and ARM Cortex-A53 at 1500 MHz (Quad core). It also contains a 4096 MB RAM which is higher than the 3072 MB RAM of Samsung Galaxy S6 Edge and 2048 MB RAM of the iPhone 6s Plus. The graphic processor is ARM Mali-T760 MP8. With this kind of specifications, it is one of the most powerful smartphones out there and worthy of being Samsung’s flagship model. You will like how the apps load instantly. There are no lagging or freezing apps. You can also easily slide forward and backward with ease when you watch full HD videos. You can run multiple apps in the background and the phone will still work very fast with your current open app. If you are just a normal user who plays simple games like Clash of Clans, does not edit high-resolution videos, and does not do other complex tasks, the speed is more than enough of what you need. If you are playing a lot of intensely heavy HD games like Chaos Ring II, Blood and Glory, and Anomaly 2, you will certainly enjoy the fast performance and graphics. The phone does not only exceed in terms of hardware, it also has a lot of very useful software functionalities that you will surely like. What is very unique about the phone is the screen edge. Aside from making the phone more beautiful and classy, it adds some new features. With the edges, you can simply slide your finger back and forth and get information about the time, news updates, twitter updates, etc. while the screen is on standby. It can also function as a midnight clock so you will see a clock at the edge at night even if the screen is on standby. There is also a functionality called People Edge where you can put your favorite contacts and easily call them just by swiping the edge and selecting the contact. There is also a feature called Apps Edge where you can put you favorite application shortcuts and easily run them by swiping the edge and tapping the application. You can also assign a color to a contact and when they call while your phone is facing down, the edge will light with the contact’s color. The phone has various sensors like Accelerometer, Barometer, Geomagnetic Sensor, Proximity Sensor, etc., but what you will really like is the Finger Print sensor. You can enroll your fingerprints so that you can use them to unlock your phone and securely perform payments online. You can also use your fingerprint to sign-in safely from websites while browsing the fast, reliable, and user-friendly Samsung Internet Browser. To prevent your home button from easily getting worn-out, you can use the finger scan as an equivalent home button. So instead of pressing the Home button to go to the Home display, you can just simply scan your finger. The phone runs on Android 5.1 Touchwiz UI. The interface is as awesome and as basic as the iPhone’s so you can easily learn it. The phonebook is simple to access. The keyboard is very easy to use. You can install keyboard apps as too to replace your default keyboards. Another awesome feature is that you can easily change themes and you can download various designs from the theme store for free! What is most noticeable about the phone is that it never slows down whatever themes you are using. You can also easily download applications from the Google Play Store. It’s as simple as downloading apps from the App Store to an iPhone. There are over 1.8 million apps you can choose from. Think of anything you need and there is an app for it. The phone also comes with Microsoft Office applications such as word, excel, and powerpoint so you can easily use it and open files from work. Another excellent thing about the phone is its browser. It’s a lot better than the browser of iPhones. It’s fast, easier to use, and rarely freezes. Other awesome softwares are the S Health, My Files App, and S Voice. S Health monitors heart rate, sleep, exercise, and eating habits. My Files app allows you to manage your files in your internal storage. S Voice is an intelligent personal assistant like Siri in iPhones, only better. The phone has a non-removable 3000 mAH battery. A higher mAH can provide longer battery use. According to Samsung website, it can have up to 20 hours of talk time, 66 hours of music, and 15 hours of video play. In my personal experience, I was really not a fan of the battery life when I first used it. In the first dew days, it only gives me 10 hours of battery life. I normally use the phone for internet browsing so the LTE signal is always on. With the same daily phone routine, I can get up to 1.5 days in my previous iPhone 6 Plus. I was not very happy that time. So I did some research and I found out that you have to disable several unnecessary services that come with a brand new Samsung Galaxy S6 Edge Plus. These services run in the background and consume the battery life even if the phone’s display is turned off. What you have to do is, like what I did, you have to install an App called Package Disable Pro and deactivate the unnecessary services. You also have to put your display brightness to 50% which is the normal brightness that is comfortable to the eye. You also have to make sure that you have closed all applications that are not in use. Additionally, you can install the app called Battery Doctor. It optimizes your battery use by deactivating applications that are still running even after you close them. Or you may just simply use the built-in app called Smart Manager to manage your battery, RAM, and security. I am very satisfied that for a heavy user like me, my phone can last for up to 24 hours. If you are not a power user like me, the phone can last up to 3 days without charging and up to 14 days if its only on standby. You will also like the wireless charging capability but the wireless charger must be bought separately. It is amazingly fast and will charge your phone in just two hours from empty. Another cool thing about the phone that you will like is that it has a feature called “Power Saving” and “Ultra Power Saving”. You can instantly use this during emergencies, especially the Ultra Power Saving feature which allows only the crucial applications to run. Instead of running out of power in a few minutes, the “Ultra Power Saving” feature will still allow you phone to run for several hours. The phone is capable of providing a good sound quality with its loud speaker. You will be very satisfied when you try to play music or watch a movie while on loudspeaker. It is loud and clear enough that you will not need an extra speaker to hear the sound of your music or the movie you are watching. With the use of the Samsung earbuds that comes with the package, you will enjoy more sound quality. It comes with a 3.5 mm jack so you can use other headphones or speakers that you prefer. You will also like the music player which has a cleaner user interface compared to previous Samsung phones. Another awesome feature is the addition of a UHQ scaler which significantly enhances the resolution of the sound when used with headphones. It is LTE-enabled so you can have the currently fastest internet download speed. You can use your phone as a mobile hotspot so that other devices can connect to your internet connection. You can also connect it to Wi-Fi and Bluetooth. You can wirelessly connect it to your Smart TV for instant viewing of pictures and videos. It also has GPS to find locations. Another cool feature of this phone is the use of microUSB. You can simply copy and paste your favorite files like music, video, or pictures from your laptop computer to the phone and you are ready to go. No need for softwares like iTunes in iPhones for file transfers. This is a lot more convenient. You can also use the phone as a mass storage device. It has a 32GB and 64 GB variants for internal memory. Although there is no slot for memory cards, you can still purchase small microUSB flashdrives that you may plug in with your phone anytime for additional storage. 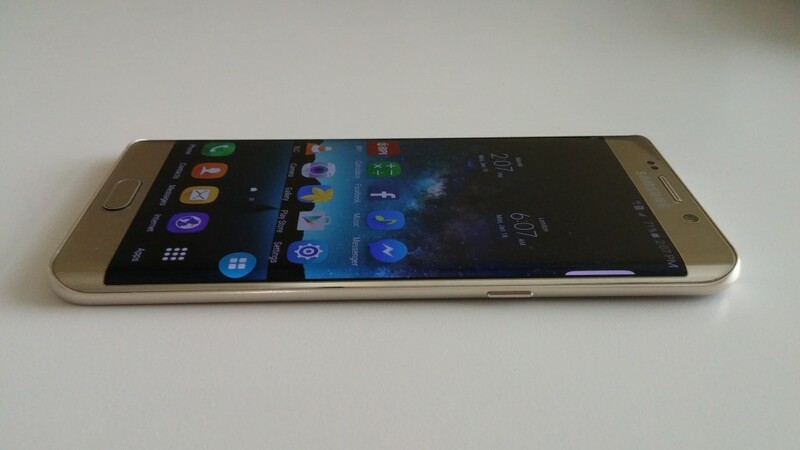 The Samsung Galaxy S6 Edge definitely deserves a recognition. 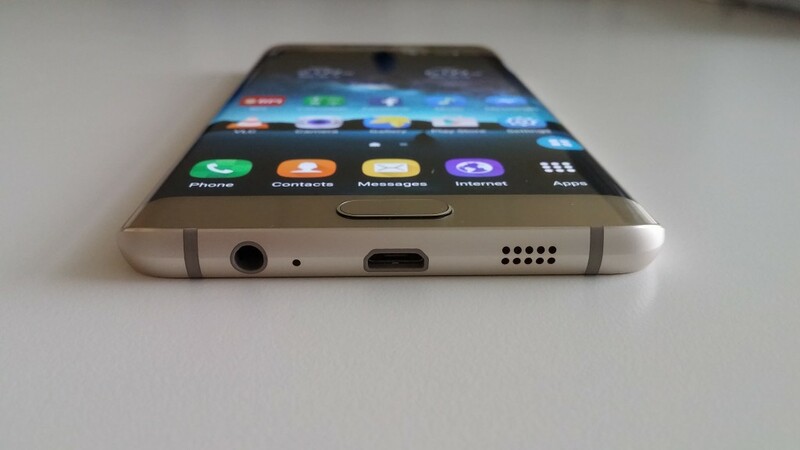 It is the best Samsung smartphone phablet in 2015, and most probably on top of other phones released alongside by other brands. It has an awesome and eye-catching curved glass and metal design, a scratch-resistant display that is more beautiful than other phones, and a camera that has a very high resolution and advanced functionalities. You can also learn to fully utilize and improve the phone’s battery through proper configuration and the use of power saving modes. You will also be amazed by the speed and performance whether you are a normal or heavy user. You will also like the ease of connectivity with other devices. You will be amazed by the additional features that come with the unique edge display, the easy but beautiful user interface, and the finger scan that enhances security and protects your home button from getting worn-out.